A good dental practice is made up of a team of many members. From dentists to nurses through to the hygienist and administration staff, everyone has a role to play in helping you get the treatment you want. 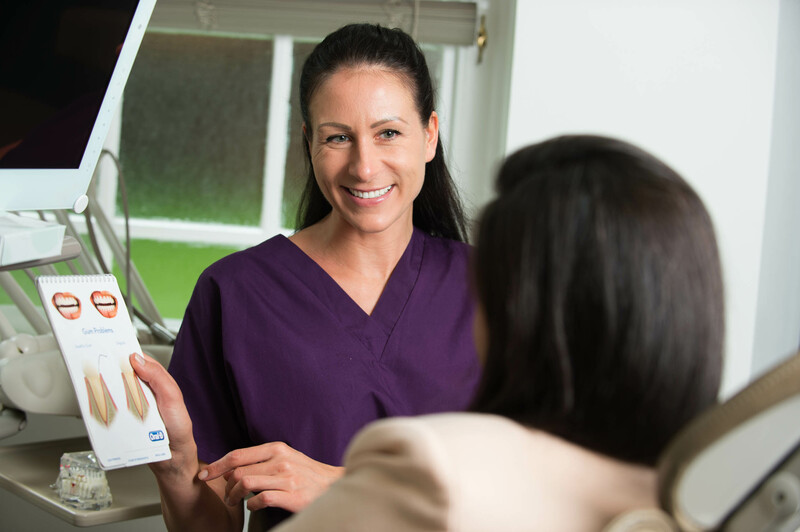 We pride ourselves on giving our patients all the help and support they need, whether they are having a simple teeth whitening treatment or a long-term adjustment like teeth straightening. We know that, for some people, going to the dentist can be a chore but we want to create an environment that gives you the opportunity to feel differently about it. This is better for your health as the majority of dental issues are easier to solve if they are picked up early, so it is better if you have no reason to delay. Our dentists are skilled professionals who are enthusiastic about the care, health and improvement of your teeth. They can help you to pick up issues before they become a problem. If you already have an issue, they can guide you to the best treatment to suit your needs. Our team are skilled in advising people about cosmetic dentistry. They know that creating a great look is about having an impact but one that blends naturally with the whole look and can guide you accordingly. Working alongside our team of dentists in St John’s Wood is our hygienist. This is a professional who is specially trained in preventive dentistry. This means they can clean, polish and perform other procedures that help to keep your mouth healthy. They provide advice on how to look after your teeth including refinements to your oral hygiene routine, food to watch out for that can harm them and help to quit smoking. A trip to the dentists in St John’s Wood isn’t just about the people who directly care for your teeth. Your reception when you come in is just as much a part of the experience. If you feel welcome and relaxed straight away then you are more likely to continue in that vein. Our friendly, efficient team also keep on top of all our paperwork ensuring regular contact with you about your appointments. This entry was posted in Hygiene on 13th January, 2017 by Aura Dental.